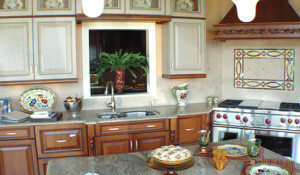 The company to turn to for fine kitchen cabinetry in Tampa, Lutz, Westchase, or any nearby Florida community is KitchenAlity. Our company was born out of a distaste for the general low quality of cabinets that are commonly installed in kitchens throughout the Tampa Bay area, and we think that homeowners deserve better. So, we decided to start our own company, and as was our mission when we first opened our doors for business, we are devoted to installing the absolute best kitchen cabinets on the market. Aside from installing all wood cabinetry, we proudly provide a full suite of kitchen remodeling services to homeowners throughout the Tampa Bay area. From floor to ceiling, our team can help you transform your kitchen while adding a touch of your personal style. Whether that means having a new kitchen island constructed, replacing your countertop with a quartz or granite one, or knocking down a wall to create additional space, KitchenAlity has you covered. To find out more about KitchenAlity and the various kitchen remodeling services we provide to homeowners in Tampa, Lutz, Westchase, and surrounding FL communities, please contact us today. We’ll gladly provide an in-home meeting for you with a member of our team and show you the types of custom kitchen cabinetry we have to offer.